Travel is an exciting experience for most of us, but it can also be tiring and challenging for many, especially if you are travelling with children. We’ve put together a few tips to make things a little easier and help you with your planning. Being spontaneous and just deciding to pick up and go, and stay wherever the urge takes you on your trip isn’t something that works well when you have young children. Being stuck in a location where you can’t get suitable accommodation for the night and the children are tired and cranky is not something that makes for an enjoyable holiday. 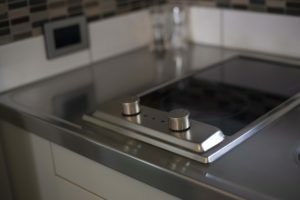 But doing some planning and booking suitable accommodation in the main places you intend to stay can definitely help things run more smoothly. Find out if the places you are booking have the option for late checkins. If you are flying long distance, often you might be landing in Christchurch for example, in the middle of the night. That means you want to make sure you can quickly get to your accommodation and checkin without drama and get those children (and yourselves) into warm beds as painlessly as possible. 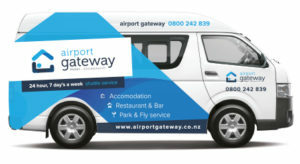 At Airport Gateway we have 24/7 mobile checkins and free transfers for our guests from the airport to the motel, so you can be picked up by our shuttle, do your check-on onboard with the driver and go straight to your room when you arrive a few minutes later. Also make sure to ask if your accommodation offers a turndown service, especially in the middle of winter when a warm room and a warm bed makes all the difference. Again this is something we pride ourselves on offering our guests. All you need to do is let us know your planned arrival time and we will make sure your room is ready for you all. 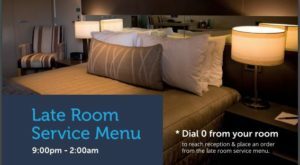 Arriving late with a hungry family is no fun, so make sure your choice of accommodation has either a room service menu you can get after hours, or an onsite restaurant. We offer both of these, but our Restaurant closes at 9pm so from that time you are welcome to order from the room service menu. 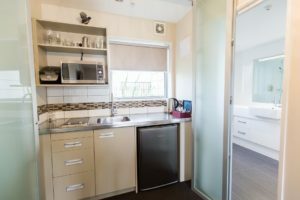 When you are travelling with children, it is helpful to have your own kitchen facilities in your unit. Of course this is one of the benefits of booking a motel unit vs a hotel room. 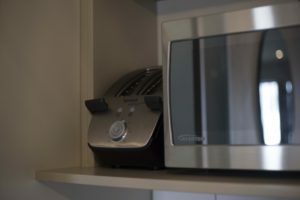 All of our rooms offer full kitchen facilities, including stove top elements, microwave oven or traditional electric oven, along with a full set of kitchen crockery, cutlery and glassware. You also have a mini fridge in each unit. Once you have booked your room with a kitchen, it helps to know if you can buy suitable food for the family nearby. 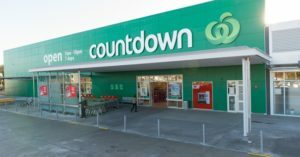 At Airport Gateway we are five minutes drive from a large Countdown supermarket that is on the Christchurch Airport site. Opening hours are 7:00am – 10pm daily. 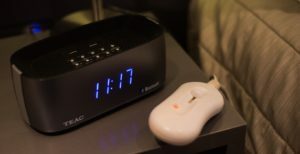 So you can either do your shopping before we pick you up in the shuttle, or the next day once you are settled and have had a good night’s sleep. If you don’t have a rental car, ask at reception if the shuttle is heading back to the Airport soon, or else you can catch the bus from outside the motel and be down at the airport in a few minutes. When you book ahead, make sure you are clear about the number of people you are booking into a unit and how many children. In New Zealand we usually cater for additional children or babies with rollaway single beds or portacots. We have portacots available for a small additional fee, so please check with us when you book. Some of our units also have several single beds already set up. If your family is larger than 3-4 people, look for places to stay where the option to book a multi room unit, or two adjoining units is possible. We have several larger units that can accommodate up to seven people with a mixture of single and queen or king size beds. 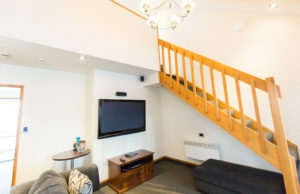 These units are great for bigger groups or if you are planning to stay in Christchurch for more than a few nights. Enquire when you book what options are available. Picking somewhere to stay that has room for your children to stretch their legs and burn off a bit of energy is also a great idea. 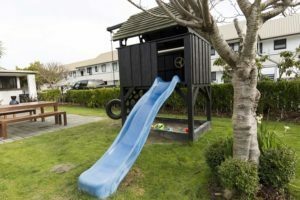 Look for accommodation that has a playground and other facilities suitable for children. Or locations that aren’t far from a park or reserve where they can really have a good run around. 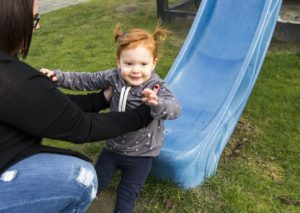 We have a small playground onsite and just a few minutes walk down the road is Burnside Park, which has plenty of open space to play.